Music ministers are the humble, yet talented singers and musicians that add so much to the liturgical celebrations at Our Lady of Nazareth. If you can carry a tune or play an instrument, are a wiz at audio equipment, or just love music and want to become involved. We invite you to join us! 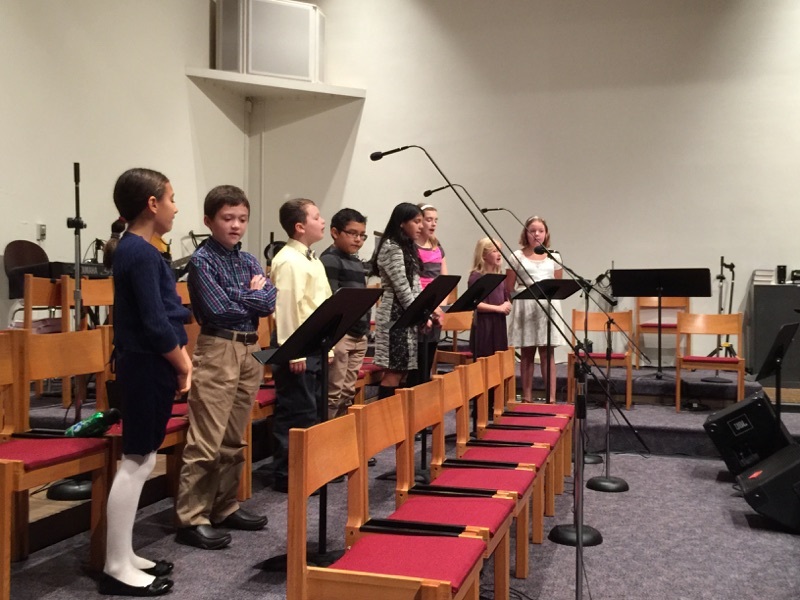 OLN's parish choir is famous for their uplifting music! Reading music is not a prerequisite, but you do need to be able to carry a tune. We are always in need of singers and instrumentalists, and naturally, all are welcome! We are always in need of new members to join our choir so that it may continue to grow and provide music for worship for years to come. Please prayerfully consider sharing your musical gifts. We are specially in need of Gentlemen singers! the same time as Catechesis classes. prayerfully consider joining us in the music ministry! Children ages 6 to 11 are invited to share their genuine musical gifts by participating in at least 4 liturgies throughout the year. Children must be able to read in order to learn the words of the songs quickly. A packet of music is sent home with each child after the first rehearsal for them to practice during the week. Tuesday evenings in the Nave from 6:00-7:00 pm. Youth ages 12 and up are encouraged to share their musical gifts with our parish family in the liturgy and in youth ministry activities. Learn how to plan liturgies, play your instrument and/or sing! All Youth interested in participating as singers or instrumentalists have 2 opportunities to get involved. You can be part of our new "Uth Praise" ministry that will periodically lead us in worship and/or you will become members of the parish choir who will mentor your growth in music ministry. Remember, you may be able to get extra credit for your school music program, so talk to your music teacher to see if extra credit is a possibility. Wednesday evenings in the Nave from 6:15-7:30 p.m.
**** Also, we will be offering music periodically on Sunday evenings as part of the high school gatherings from 4:30 - 6:30 pm. This will be a more informal setting centered on praise and worship. Pianists, Guitarists, woodwind, brass, percussion and string instruments. You are invited to share your talents! You must have at least one year of band and/or private instruction. You can also receive extra credit for your band or music class if your teacher agrees.